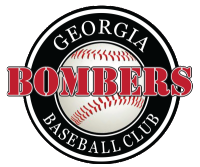 The team at Grand Slam Sports Center, The Georgia Bombers Baseball Club, and PT360 have teamed up to offer cutting edge youth baseball performance options to help our young athletes maximize their performance and reduce their chance of sports injuries, as well as, running injuries. PT360 Youth Baseball Development Program will provide an individualized approach that includes a thorough assessment of how the body moves and functions. Players will be offered customized options to improve their performance, ranging from expert pitching and hitting lessons to full scale Sports Therapy treatment and overall sports therapy prevention at Grand Slam Sports Center or at PT360’s sports rehabilitation center. Our licensed Physical Therapists can successfully prevent baseball injuries with a simple screening exam called the Selective Functional Movement Assessment (SFMA). The SFMA is the movement based diagnostic system, designed to clinically assess 7 fundamental movement patterns in those with known musculoskeletal pain. The assessment provides an efficient method to systematically find the cause of symptoms, not just the source, by logically breaking down dysfunctional patterns and diagnosing their root cause as either a mobility problem or a stability/motor control problem. This systematic process allows clinicians to clearly match their intervention to the main problem of the patient. This model efficiently integrates the concepts of altered motor control, the neurodevelopmental perspective, and regional interdependence into musculoskeletal practice. All Georgia Bombers will participate twice a year in a biomechanical assessment to identify problem areas that may be influencing performance. This assessment is based off of the Selective Functional Movement Assessment (SFMA) and is performed by the licensed physical therapists from PT360 (www.pt360atl.com). All players, parents, and coaches will have access to general corrective exercises and videos to address typical concerns. Quarterly in-services will also be available to provide information on the latest advances in baseball injury prevention. Individualized youth baseball performance sessions with PT360’s licensed physical therapists are also available for an additional fee. These start off with a 1-on-1 biomechanical and movement evaluation and treatment. This allows us to create the perfect customized program based on a player’s goals, needs, and current ability. The performance sessions will focus on complete athletic development combining mobility, agility, strength, power, and endurance into one program, with an emphasis on the areas needed to perform well in baseball. 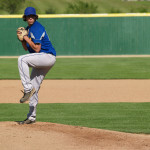 Sports Injury prevention for the baseball pitching athlete. Where do I begin other than to say David Mesnick is a gifted Physical Therapist. His expertise in sport related injuries as well as his passion for his craft was obvious when he treated my son Connor for a lower back and hamstring condition. David has a great report with young athletes and tailored his treatment for Connor according to how aggressive he needed to be for Connor to be back out on the field ready to perform. His philosophy worked wonders on a recent Friday Connor was to pitch and David was literally hands on Connor for a solid hour massaging, dry needling and stretching his tight muscles. What was supposed to be a short outing for Connor turned into him pitching a pain-free seven inning shutout for his Bombers team, and all thanks to David’s treatment. I also love David’s educational slant with the athletes, he is meticulous about teaching Connor about how to stretch and tone his muscles so he can be proactive about future injury prevention. To close, David has made such an impact on my son that he is having aspirations of being a Physical Therapist himself down the road . . . in my eyes the ultimate compliment. Thanks David for all you have done and getting Connor well and back on the field performing.